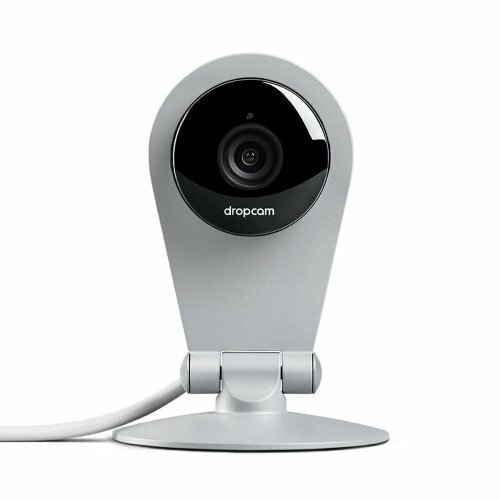 Dropcam HD Internet Wi-Fi Video Monitoring Cameras help you watch what you love from anywhere. In less than a minute, you'll have it setup and securely streaming video to you over your home Wi-Fi. Use it to watch your home, your baby, the dog, and your small business. Every camera comes with Night vision, 720p HD video, two-way audio, and Digital Pan and Zoom. Paired with secure online DVR recording, you can watch live and recorded video from anywhere on any device. Dropcam HD makes monitoring what you love and finding peace of mind easier than ever. Watch from any device such as your Apple Mac, Windows PC, iPhone, iPad, iPod Touch, or Android. All you need is a Wi-Fi network paired with the free and easy-to-use Dropcam App. Watch what you love while away with Dropcam HD.